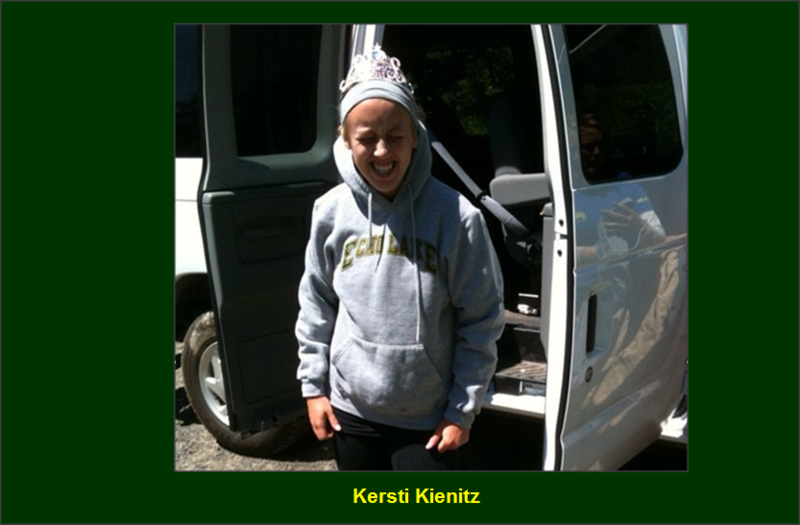 Kersti hails from Michigan. She formerly worked as a financial analyst, but has now decided to pursue her teacher certification and her Master’s degree. Kersti is very passionate about being a part of the magic that takes place at Camp Echo Lake each summer. Spending a summer at a desk job a few years back reinforced how much Kersti missed being a part of Echo Lake. After two years as a Tennis Specialist and a year as a Group Leader, Kersti has been elevated to the role of Senior Village Girls Head Counselor (grades 8-10) in her return to the lake. She is very excited to work with the rest of the Senior Village staff to make this summer one for the ages! This will be my 5th summer at Camp Echo Lake. In 2005-2006, my cousin, Jake Whitman, came to camp as the Archery Head Specialist. He would send me postcards and letters telling me about how wonderful Echo Lake was. By the end of his first summer, I was counting down the days until I would be old enough to go to camp as a staff member. I spent my first summer at Echo Lake in 2010, and fell in love with it right away. Jake no longer goes to Echo Lake, but he did marry someone that he met at camp, so it is still a big part of his life. Now I get to send him letters telling him how wonderful things are at camp. I believe the relationships that are built at Echo Lake, and the environment that they create are a huge part of what makes it such a special place for campers and staff alike. There are not many places you can go in the world where everyone is looking out for one another, trying to bring out the best in everyone, but Echo Lake is one of those places. At Camp Echo Lake, there is a serious dedication to human development. Anyone can say that they are dedicated to a goal, but Echo Lake only hires people that truly believe in the goal. The fact that the entire staff works very hard to create a caring environment helps to make Echo Lake an incredibly special place to be. The people around you at Echo Lake truly care about each individual’s growth and well-being. When you are immersed in that kind of support for seven weeks, it is very uplifting for everyone. It’s no surprise that we are all so attached to this wonderful place. I have started pursuing my teaching certification and Master’s degree. I enjoy reading, doing arts and crafts, and staying active through social sports leagues in my area. This year I have participated in kickball, volleyball, dodgeball and soccer leagues. I LOVE general swim in the lake; it is definitely my favorite! Volleyball is a close second. One of my favorite things every summer is watching the growth that takes place in the campers and staff. It warms my heart every time I think about the magic that happens each summer. At Echo Lake, you see kids develop skills in athletics, arts and social situations. You see staff develop in areas like communication and flexibility. Watching people change as they are influenced by their surroundings at Echo Lake is phenomenal and it is part of what brings me back again and again. As far as specific memories are concerned, I absolutely LOVE Special Day. My very first Special Day had quite an impact on me at camp. It was the summer of 2010. I was with the Upper Inter Girls West (who I still can’t believe are going to be LITs this summer!) and I didn’t have a clue about what to expect. The excitement coming from the staff who had been through Special Days before made me confident that it would be spectacular though. The staff put in an amazing amount of time planning the little details for our “Around the World” Special Day, and it turned out better than I could have ever imagined. Each activity was labeled as a specific country. The girls went to the various countries to take part in activities such as: tie-dying t-shirts, a scavenger hunt, a mud fight and many others. It was a wonderful day where everyone was excited about each activity, and the enthusiasm of the group was contagious. It’s an amazing feeling when you are surrounded by people who are happy, having fun, and really being themselves. Since then, I have had many more amazing Special Days, and I know there are more to come this summer. However, my first one will always hold a special place in my heart for being such a wonderful introduction to an awesome camp tradition. Another fond memory of mine was my 20th birthday, which I celebrated at camp in 2011. It was one of those super-hot days in the middle of July where the schedule was changed to allow for a swim period every other hour. Since it was way too hot to be on the tennis court that day, there was nothing for me to do as the Tennis Specialist. A group of my girls were going caving, and another counselor was needed on the trip. Because I didn’t have any tennis periods that day, I was allowed to go with them. It gave me the chance to do something that I had never experienced before. Spending quality time with the girls in my group was an added bonus. It was truly just a wonderful experience all around! I loved seeing how brave the campers (and staff) were when faced with crawling through parts of the cave or pushing forward in the dark spaces. It was very inspiring. I was very grateful for the opportunity to experience this with my group and celebrate my birthday with them. Having my birthday at camp each year has been a lot of fun, but I can honestly say that my 20th birthday was my all-time favorite, in camp or otherwise.